We must be on a leather theme this week! 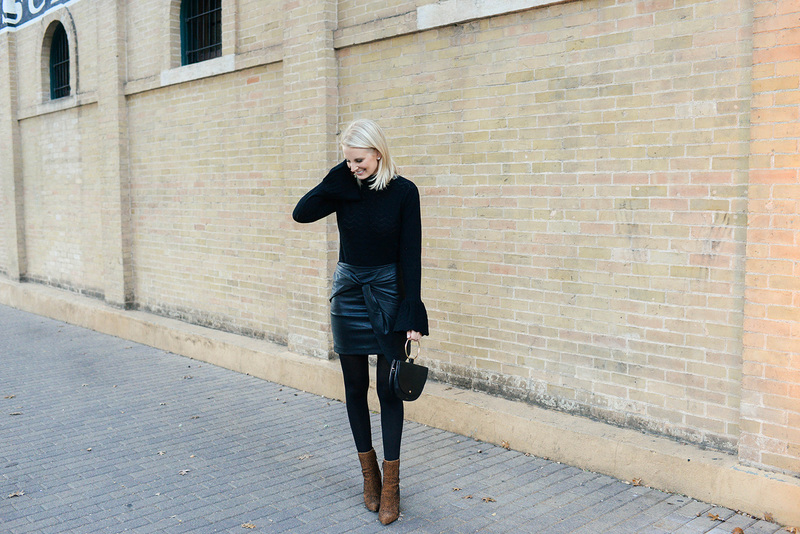 Did you catch my post Monday talking all about leather leggings? I’m super sad I waited so long to share this skirt, because it has since sold out. I bought it back in August! I love the knot-front style and it was faux leather, which made it less expensive. It was such a great find! 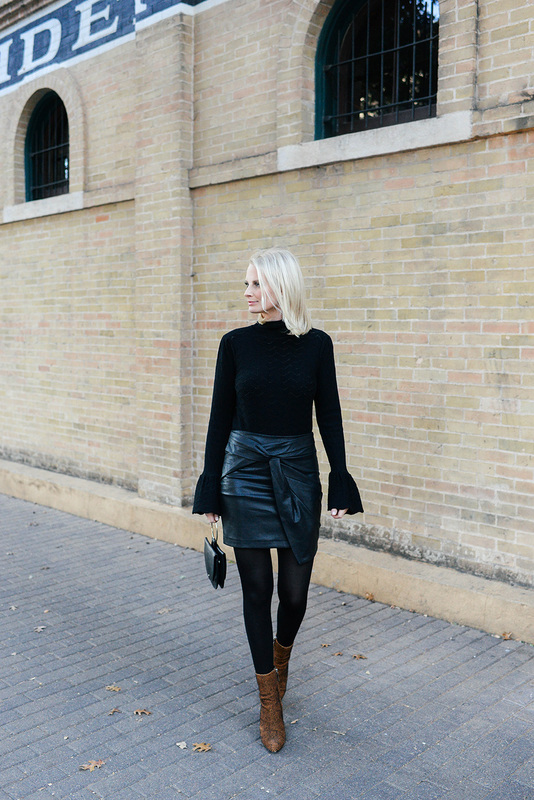 I don’t want to leave y’all hanging though… I found a bunch of other similar faux leather skirts with a cool twist like the knotted look you see here – shop them all below! Price points are all across the board. This wrap effect mini skirt has a similar gathered look at the waist! This bow-front mini is now on sale for $40!! It looks like such a fun party piece. This ruffle front skirt is perfectly playful and under $75! This one is real leather and quite an investment, but I LOVE the bows knotted on front! This $60 vinyl mini looks very Saint Laurent to me… anyone else? The asymmetrical hem on this skirt gives it sort of skort look – don’t hate it! The paper bag waist on this under $50 find give it a fresh and fun vibe. Here’s another great vinyl miniskirt with a super fun ruffle. PS – if you’re in the market for a cool ankle boot for nights out, I’ve really been loving this wild pair by Alexander Wang. They also come in solid black leather, which may be more useful – but they are super comfortable, even with a high heel! I love how the pointed toe gives the boots a more modern and clean look + it elongates your legs. You can’t lose. That is one gorgeous faux leather skirt!